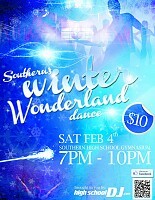 They say high school can be the best years of your life, so why not make your school dances equally amazing? 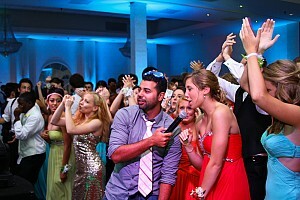 The secret to unforgettable, non-stop, action-packed high school dances is dynamic entertainers that go beyond just a basic DJ and innovative production sets to visually take the event to the next level. 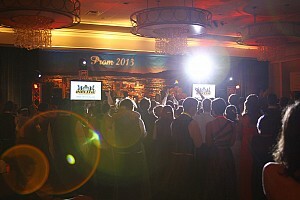 Whether Prom, Homecoming, or a Winter Dance, most companies don’t have the talent, resources, knowledge, or skill to completely rock a high school dance. Because this company started while in high school, we understand what it takes to create an environment your students will love while maintain professionalism to keep the teachers and sponsors happy. Interactive hype men, DJ’s that can mix and scratch, lighting and video sets that would make the hottest night clubs jealous, and interactive features like live Twitter requests and Instagram feeds transform an ordinary school dance into the party of the year. 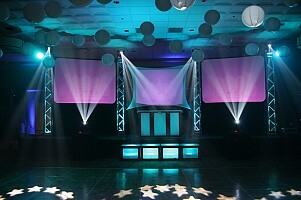 Anyone can purchase lights or video screens, but no one can duplicate the innate talent and abilities of our performers. That’s the key. Young, fresh, energetic MC personalities get your students hyped and involved from the beginning, while expert DJ’s that can mix, scratch, and remix keep the beat hot on the dance floor. There’s no substitute to the best talent, and we’re proud to say they all work here. There’s a reason every concert and nightclub spend millions of dollars on lighting and special effects: because the visual excitement goes hand-in-hand with the energy of your event. We specialize in creative, innovative, mind-blowing production sets, transforming your event space into your own private nightclub or concert, but in a safe environment. Automated moving lights in various configurations, laser shows, confetti cannons, CO2 jets, and even indoor pyrotechnics are just a few ways to take your event to the extreme. 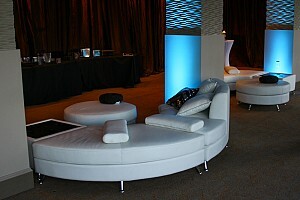 Chic lounge furniture is the new trend in successful high school events. 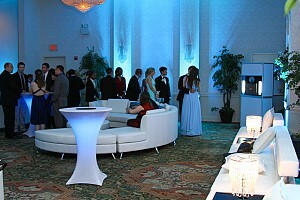 Set up a “chill area” for students to hang out, and refresh themselves for the rest of the dance. 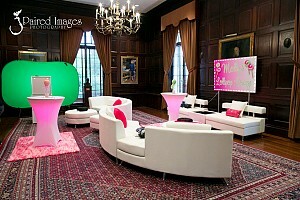 Just the look of lounge furniture helps to keep students at the dance for longer. It’s just more comfortable to sit on a nice, comfortable sofa – than a chair a student sat on hours ago in class! Vision is arguably your most important sense, so stimulating that sense is key to invoking excitement. Adding large projection screens, flat screen monitors, or LED walls give you that visual spark, showing music video mixing, ambient and themed graphics, live TextMessage feeds, or even a photo slideshow highlight your high school career. The possibilities are endless. If your dances in the past haven’t been exceptional, getting students to attend can be hard. 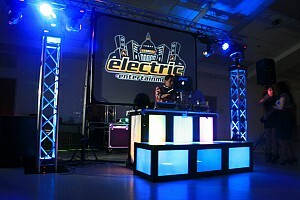 We help with promoting your dances to generate attendance and revenue. Not only can we create edited commercials to show on your news program, design posters to hang in the hallways, but also offer lunch-time promo session with our DJ’s and MC’s to hype up ticket sales and giveaway some free goodies. We have faith that, once a school sees your difference, generating attendance won’t be hard, so we’re happy to help the first time! Our in-house production division can help bring your theme to life. From draping, décor, LED dance stages, and high-powered searchlights to modern lounge furniture, backdrops, and themed props, our event experts will hear your vision and offer creative ways to bring it to life. We also offer Photobooths, Green Screen photo stations, Casino tables, and inflatable novelties for school events wanting that extra entertainment. Our entire staff is young, cutting-edge, and full of energy, bringing your school dance to a new level. Interaction with your crowd keeps them there longer in a fun, safe environment, while letting our DJ’s play the best music to satisfy the entire school. Talent cannot be duplicated, and our staff is trained to rock the teen crowd like never before seen. Think some Joe Schmoe DJ with 2 speakers and couple of junky lights is what your modern, social media generation really wants? Think again. 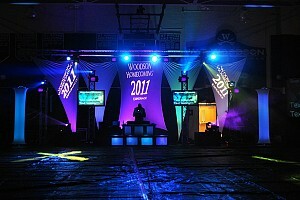 Today’s school events need dramatic lighting, production, and special effects to “wow” your students. They go to concerts. They watch MTV. They know what nightclubs are like. 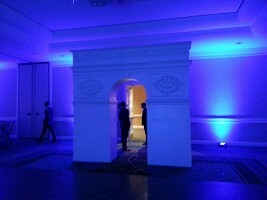 We can duplicate that jaw-dropping feeling at your school event so students talk about it for weeks to come. Our event experts are happy to sit down with your student committee to discuss the options, hear their ideas and vision, and bring it to life. 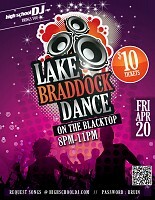 We want to get your students involved and excited before the dance even happens. We have online resources for students to request songs before the dance begins, and use social media to keep your students interacted. These consultations are free-of-charge and without any commitment. What do you have to lose?